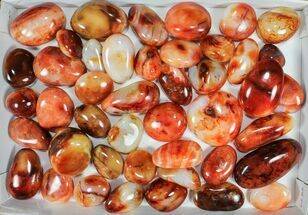 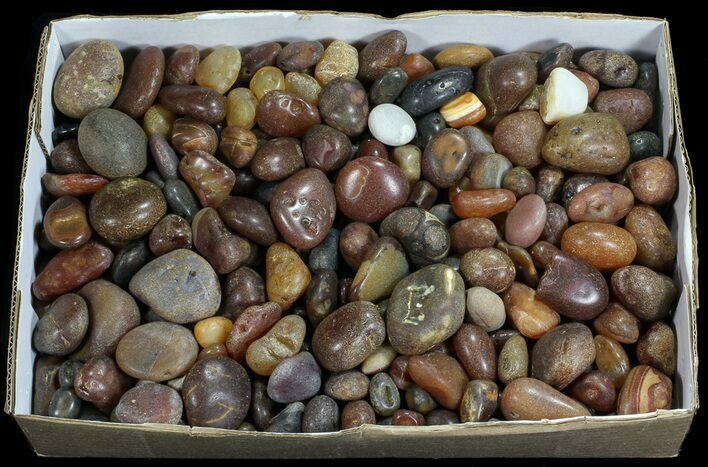 This is a wholesale flat of naturally, river polished Carnelian agate from the alluvial quarries in Madagascar. 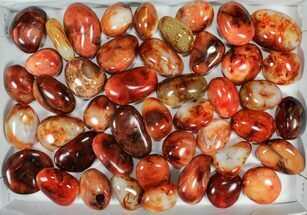 You will receive 20 lbs of rough carnelian with this order. 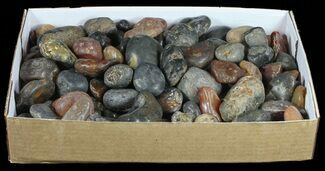 The pieces in this flat range from approximately 1 to 3" wide, and you will receive the exact flat of material pictured. 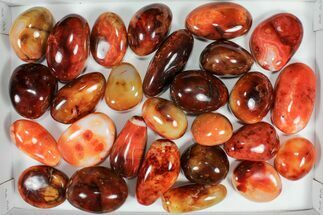 The Carnelian ranges in color with lots of deep red, oranges, yellows and creme colors. 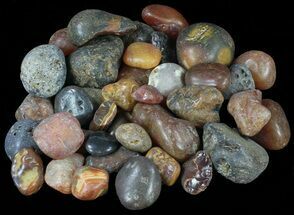 Our material is natural and untreated. 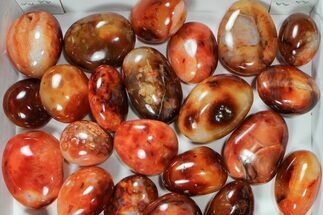 It is beautiful if further cut and/or polished or can be displayed in it's natural, rough state.